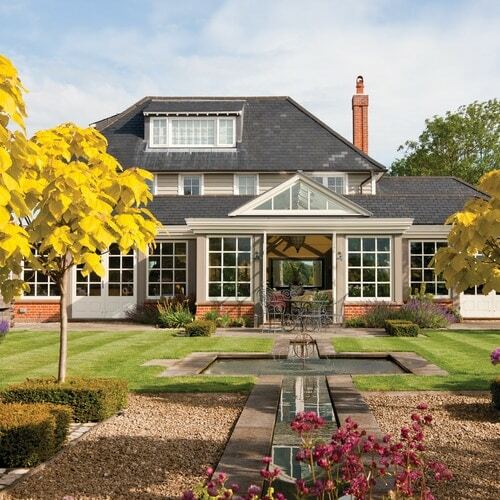 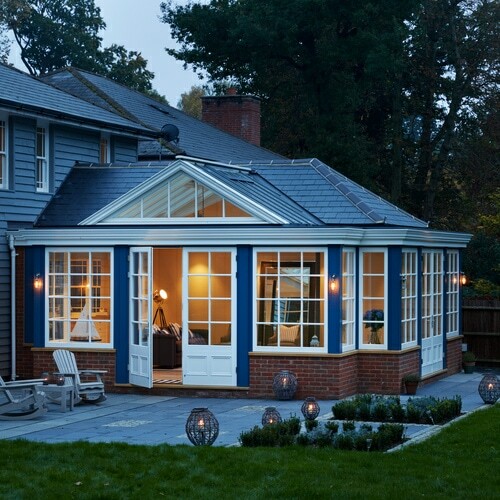 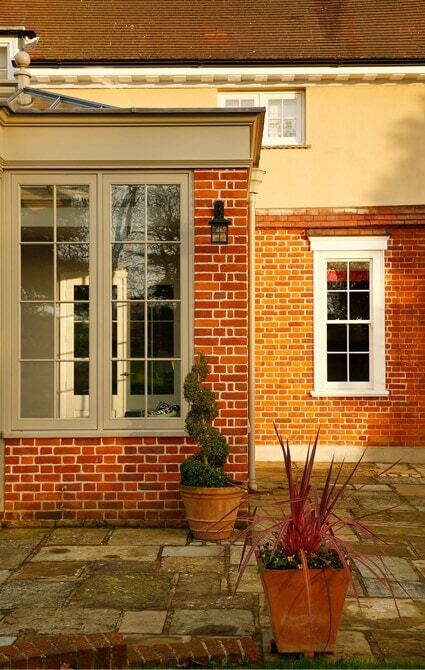 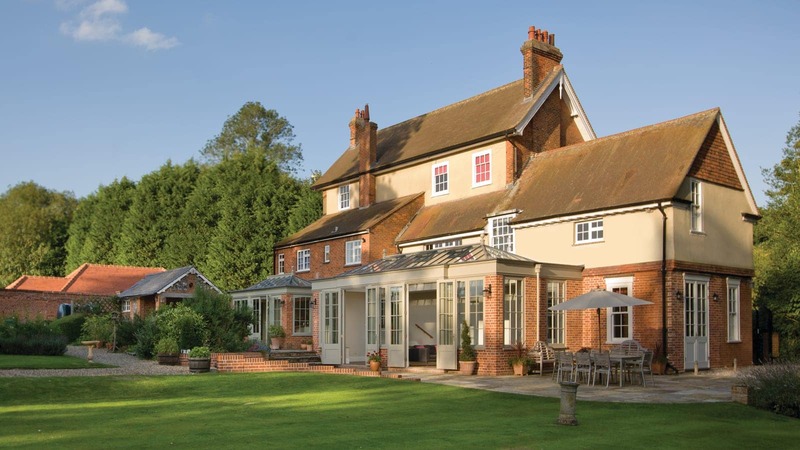 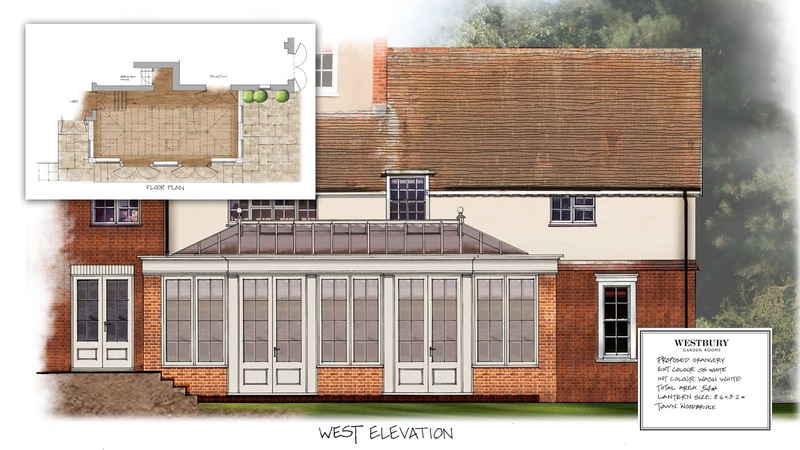 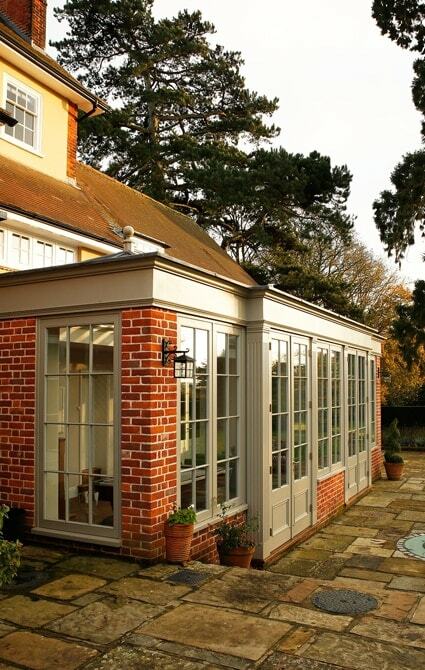 Westbury designed and constructed the larger of the two timber Orangeries on this 19th century house. 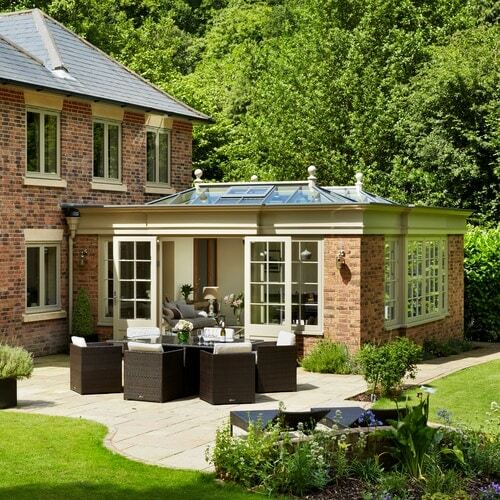 An expansive space at 10.5m long, it was created as a sitting room and entertainment space, and is the perfect place to sit and enjoy views of its extensive landscaped gardens. 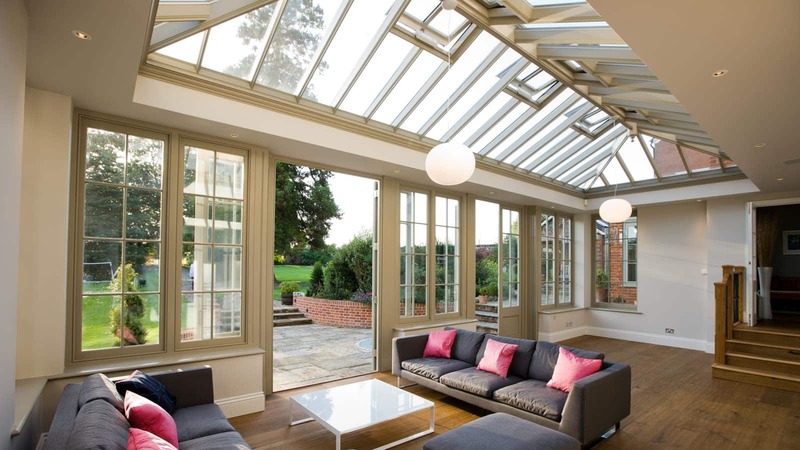 This design features tall elegant doors and windows which contribute to the grand scale of this capacious room. 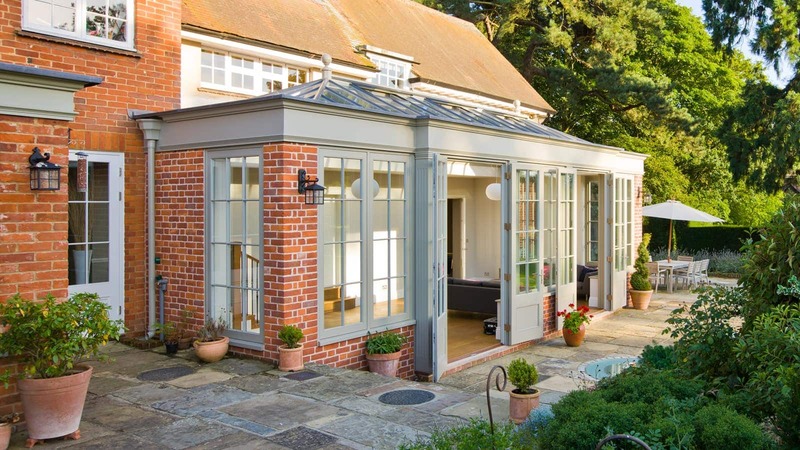 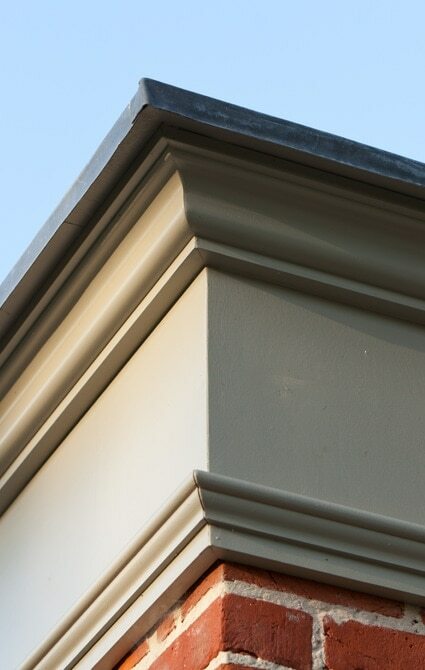 These, along with the great timber roof lantern, flood the room with light, taking full advantage of its west-facing direction.